Well I’m a very happy quilter/crafter! I managed to finish knitting the striped stole, hand sew the binding onto the flannel quilt and finished the second border of my “Dear Jane” quilt! 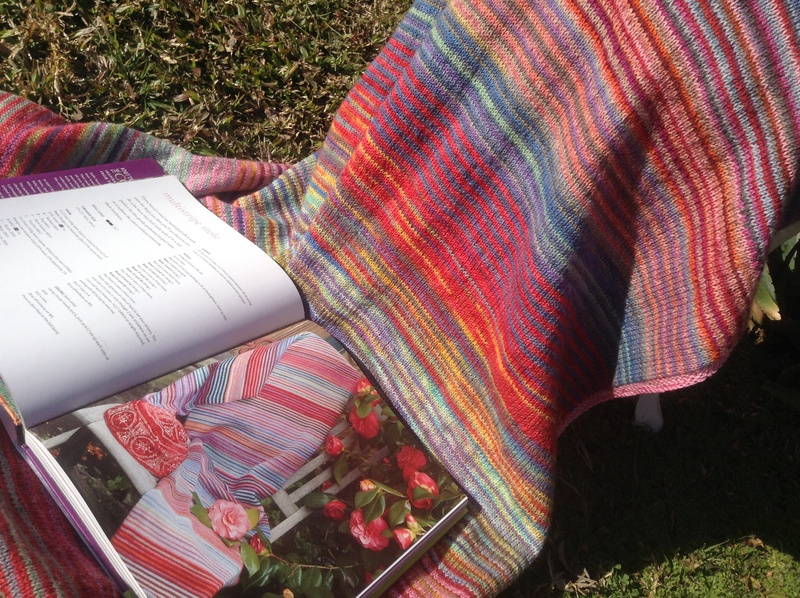 Looking back at my post I started knitting the striped stole, June 16, 2014 as I posted about it on June 21, 2014. It took me a month to knit, I finished knitting the border on July 20, 2014! Finished size is 80cm x 193cm (31½“x 76”) it was knitted with various brands of sock wool, the pattern indicated a 100g skein of the various colour ways, this was far too much. You only need 50g of a colour and 100g skein for the border knit. This stole is going to come in very hand as we are planning another trip to Europe over Christmas and New Year! The flannel quilt I made out of various pieces of flannel I had in my stash I used a pattern I have shared with you on a previous post, if you would like a copy of the pattern please click on “Quilt Throw”. I made the flannel quilt bigger, finished size 165cm x 190cm (65” x 75”). I made this quilt for my youngest son, he collected it yesterday. The Five Year War with “Dear Jane” is still on, I managed to finish the second border! Two more to go, then I am done! I better get back at Jane otherwise she may think I have deserted again and it ends up being a Six Year War! This entry was posted in Craft sewing, Knitting, Patterns and Tutorials, Quilting, Sewing and tagged buzy day, Flannel quilt, Kaffe Fasset, knitting, Knitting with the Color Guys, NikkiM, quilting. Bookmark the permalink. I love that shawl! Love it. We are neck and neck on the Dear Jane borders. I have been completely distracted by other things, so I am sure you will finish ahead of me. I’m not sure! The week coming is not a good week for sewing! Have a few guild meetings! Good luck! Beautiful work on the shawl, I’m sure your son loved his new flannel quilt it turned out great. 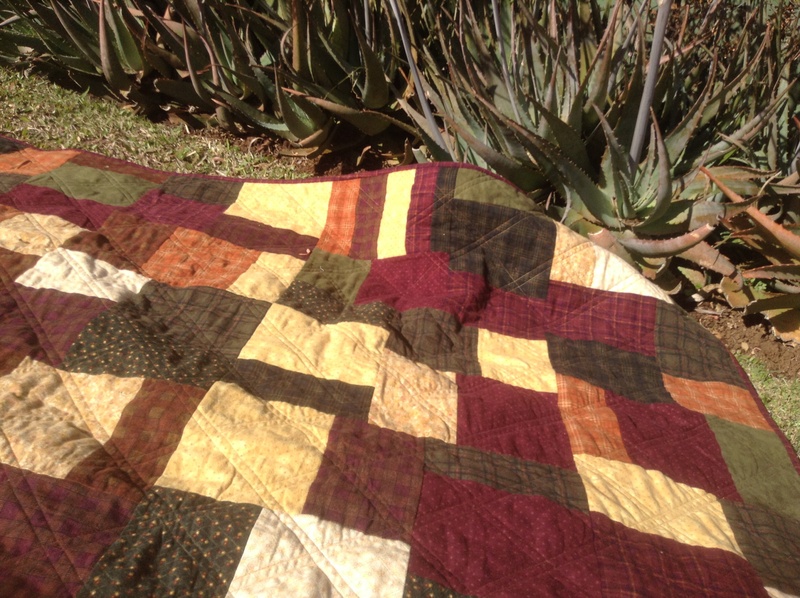 Love hoe you Dear Jane quilt is turning out beautiful work all around. Those are both beautiful. Knitting and quilting are so hard for me! Five years seems like a pretty good estimate of my finish time! Thanks for that, you too kind! Greetings from Texas. 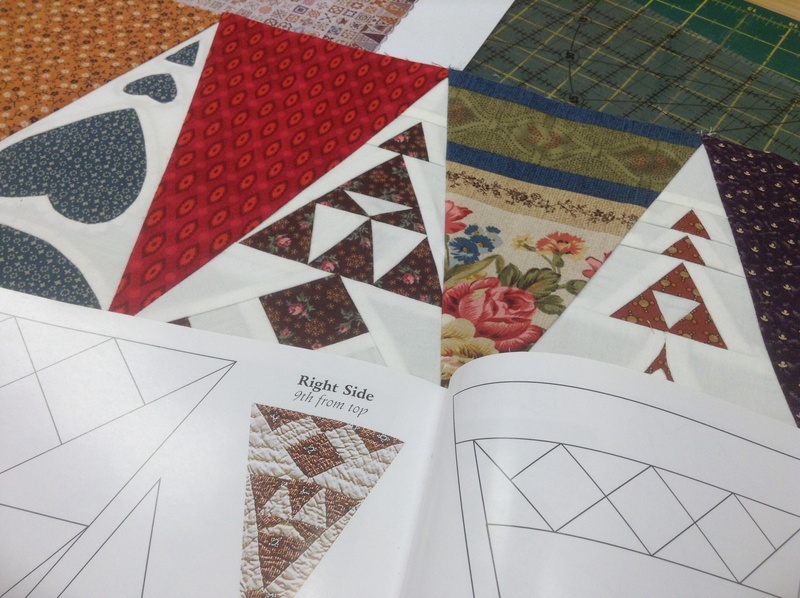 Are you hand piecing the Dear Jane? You will have a beautiful quilt when finished – keep up the good work. Wow! That stole is amazing! Wow! The Dear Jane border looks wonderful. Very nice! You are certainly a very busy and very talented lady! Thanks Elaine you too kind! You do such nice work, and so much. That stole will be lovely to wear, and we would have liked your quilt at our movie night last Sunday! You always so kind! Thank you! I love the striped stole. The colours are simply perfect. Nikki, I am sharing with my quilting sister and my knitting daughter. Well done. Glad you posted! Thanks Leslie Ann for your comment!